The pinky finger. Some guitarists love it. Others avoid using it like the plague. 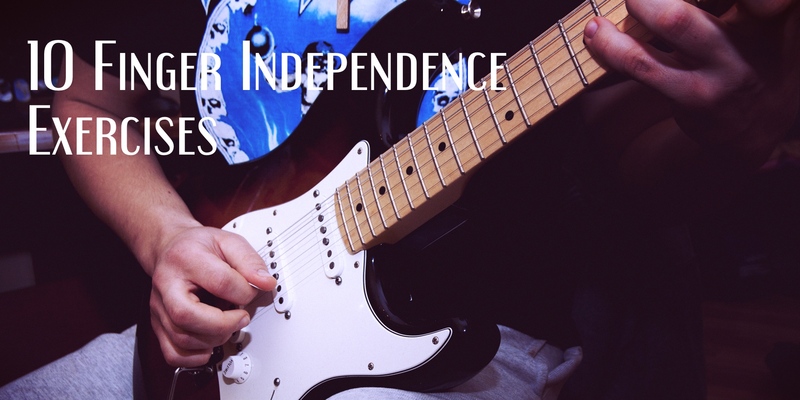 It’s weak, lacks coordination, and can easily end up a weak link in your guitar playing. However, with a few focused exercises you can quickly transform this weakness to a strength. Here are a few of my favorite pinky strengthening exercises for guitar. When it comes to exercises in general, I prefer those which are musical in nature. You know, the guitar is about playing music. However, there are some instances where just focusing on the physical aspect of the exercise can be greatly beneficial. These pinky strengthening exercises fall into that group. As a rule of thumb, you’ll want to incorporate a metronome to keep your timing consistent across all notes. With these types of exercises it’s easy for fatigue to interfere. If fatigue prevents you from keeping up with the metronome stop the exercise and rest. 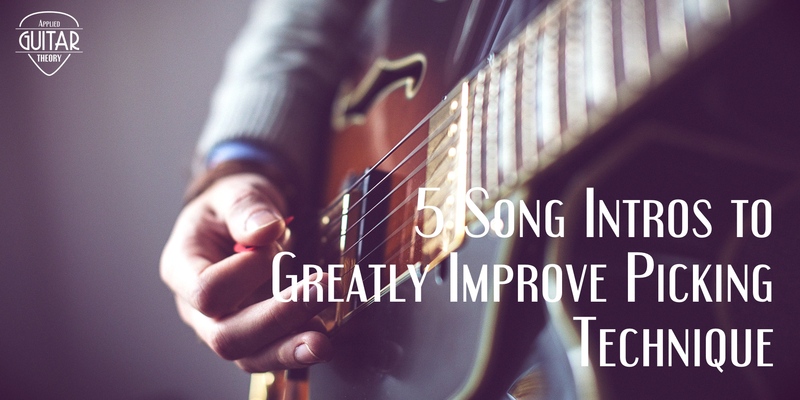 You may find you need to reduce the tempo in order to play through the exercise to completion. The first exercise is a chromatic hammer-on exercise walking up the fretboard on a single string. With this exercise, you give the pinky finger a bit more attention by doing three hammer-ons instead of one like the middle/ring fingers. With this exercise, you really want to try to use as much force on your hammer-ons as you can. Play up to the 12th fret then move down a string until you cross the entire neck. This exercise takes the first exercise and reverses it. Instead of doing hammer-ons you do pull-offs. Again, pull off with a good amount of force. Play across all strings. This exercise combines both hammer-ons and pull-offs with the pinky finger while the ring finger stays fretted. The exercise can be played up and down the fretboard as well as across all strings. This exercise is a legato exercise up the neck. The only note that is picked is the very first (4th fret on the 6th string). After that you’re using hammer-ons/pull-offs and sliding between positions. Again, play this exercise across all strings. The following exercise isolates the pinky in playing hammer-ons across and up the fretboard. Starting on the first fret of string 6, play across to string 1 and back, then move up to 2nd fret and repeat up the fretboard. Similar to the previous exercise, only you perform pull-offs instead of hammer-ons. I’ve saved the most fun exercise for last. With this exercise, the ring finger should fret the lower note while the pinky plays the pull-offs on the higher notes. You’ll play up and down the fretboard as well as across the fretboard. This exercise can be quite tough, so take your breaks when you need them and progress slowly. With its inherent lack of strength and coordination, it’s easy for the pinky finger to be neglected. However, this finger can be a true asset and, personally, one I absolutely couldn’t do without. 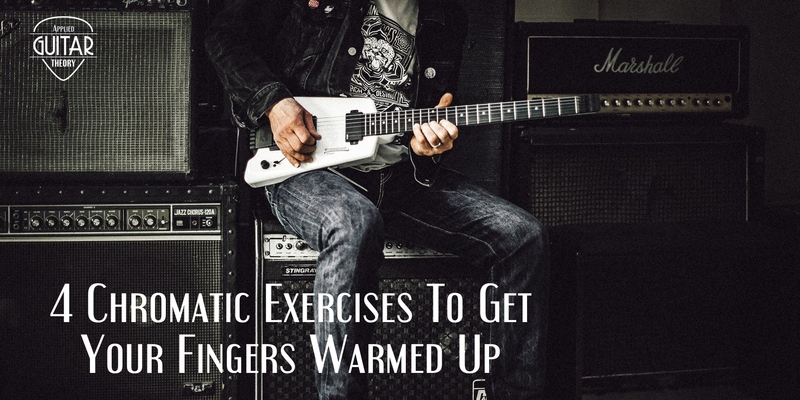 These pinky strengthening exercises for guitar will bring this finger up to par with the rest of the left hand and allow you to utilize it with confidence.